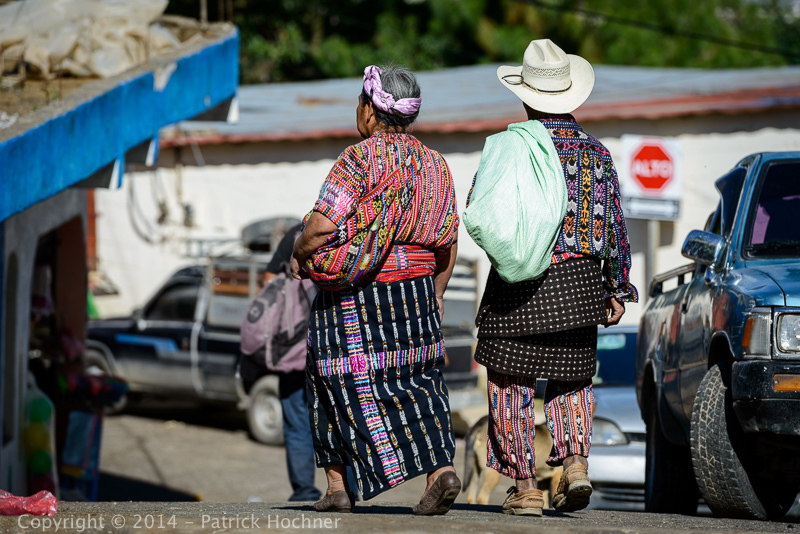 One of my favorite activity in Guatemala is visiting markets, of course, the indigenous Maya markets. The market of Sololá located near the Atitlan lake, along an ancient Maya trade route between the hot Pacific beach lands and the chilly mountain highlands of Guatemala, is one of the country’s best. Taking place on the Friday, the market is fairly large and attracts a lot of people from at least a dozen surrounding villages. And most of them are in colorful “traje indigena” (native dress). Sololá is the hispanicized form of its pre-Columbian name, T’zolojy’a. Almost all residents of Sololá are Kaqchikel Maya. This is one of the few cities in Guatemala that have parallel Indigenous and Latino governments – Sololá is one of Guatemala’s largest Maya towns. Wildly patterned and bright woven cloth make up the men’s traditional shirt, pants and tzutes, the woven cloth about their hips.